Following up on Part I from last week, two things. First, check out Page Fortna’s response, wherein she corrects a few of the erroneous inferences I drew from her piece with Reyko Huang. Mea culpa. Second, I want to share my own take about how I see the Arab Spring cases playing out. It’ll take some time, but my hunch is that the dictatorships that faced nonviolent or “people power” revolutions (e.g., Tunisia, Egypt, Bahrain) will be quicker to transition to (or make progress toward) democracy than the dictatorships facing violent uprisings (e.g., Libya) or those facing no sustained challenges at all (e.g., Algeria, Saudi Arabia). Campaigns relying on a fairly even mix of nonviolent and violent methods (e.g. Yemen, Syria) are crapshoots but will probably remain autocratic. This suspicion is based on the simple idea that the method of mobilization matters. In a recent book with Maria Stephan, she and I find that movements tend to rule using the same methods they used to win. If the campaign has succeeded using violence, it typically rules with violence. 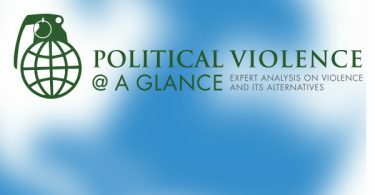 Likewise, mixed campaigns will probably rely on a mix of nonviolent and violent strategies to rule. But if the campaign succeeds using civil resistance, it is much more likely to ultimately embrace and institutionalize nonviolent forms of political contestation and conflict resolution. The new leadership is aware of the need to maintain legitimacy among a civilian population experienced in taking risks to remove oppressive or unjust systems. They become more responsive. Civil resistance is like social capital on steroids. Just ask Lech Walesa, who had to deal with way more protests during his first term as the president of a free Poland than Solidarity had organized during the anti-Communist campaign. You would think so, and this may be true some of the time. But in practice, this is not always the case. A 2005 Freedom House study looked at dozens of transitions to democracy since 1960. The study found that bottom-up civic disruption was a primary driver of these transitions—more so even than top-down, elite-led reforms—and often in spite of extremely “closed” systems. In a follow-up study, Freedom House found that this civic disruption was bottom-up, generated by ordinary civilians who were actively organizing and creating opportunities for change, rather than by the economic or social conditions we typically associate with democratization. Maria and I also find little support for the endogeneity argument in our book. For example, nonviolent campaigns such as the First Palestinian Intifada, the People Power movement in the Philippines, Serbia, and Poland emerged in spite of highly restrictive and repressive conditions, seized what power they could get, and then began to expand that power, creating the opportunities they needed to produce high-level change. As Frederick Douglass aptly noted, “Power concedes nothing without a demand” (h/t to Jack DuVall). No one ever gave these people political space to rise up. Every inch of political space was hard fought, and hard won, by these movements. And although there are important exceptions, in most cases, nonviolent campaigns lead to more peaceful, stable, democratic conditions. Some of you are thinking: “Well, the violent campaigns use violence because they face particularly brutal regimes and are therefore forced to use arms.” Don’t get me started. That’s another post altogether. American officials have had a difficult time developing a coherent strategy to responding to the Arab uprisings, perhaps because of reservations about the outcomes of popular uprisings. They are often unsure of whom they should support in ongoing conflicts around the world. Here’s the deal. Supporting armed rebels probably helps them to succeed, but we find that victorious armed rebellions rarely lead to democracy. They usually lead to the opposite. Supporting nonviolent movements with pro-democracy aims through civilian and diplomatic instruments may or may not help them to succeed. But if the U.S. is really interested in promoting democracy, it’s time to get more creative about supporting unarmed campaigns rather than armed ones. Let me start by saying I’m glad you guys have started this blog. I hope it is successful. I’m worried that you understate the endogeneity problem in these kinds of comparisons. As I understand it, the question you are asking is, conditional on transition, what kind of regime emerges given the tactics used to achieve the transition. Of course, any factor not controlled for but which is correlated with both tactic and regime type is going to confound causal inference here. You point to one possible confounder–the current regime’s policies–which you dismiss. I’m not sure I’d dismiss it quite as quickly. The fact that some very repressive regimes nonetheless get nonviolent resistance isn’t the strongest defense (on average, do they get more violent resistance?). But more importantly, there are lots of other possible confounders that I think are pretty hard to dismiss. Think about ethnic, religious, or economic divisions; the state of the economy; the existence of diasporas; natural resources; the geography and terrain; levels of human and physical capital; the political culture of the country (by which I mean something like whether they are coordinated on high or low participation in the underlying protest coordination game); and on and on. Each of these, to my mind, is likely to affect the kind of tactics protestors or rebels employ and the kind of regime that emerges. Importantly, this kind of confounding may not be important for your attempts at forecasting. To be sure, if these endogeneity problems are real, then the correlation between nonviolent protest and democracy is not causal. But it is sill a correlation, so your predictions may be warranted. But I’d be much more nervous about the policy recommendation–that if the U.S. could convince people to engage in non-violence there would be more democracy. That policy advice really depends on the correlation being causal.